Catherine Black Horse is enrolled in the Seminole Nation of Oklahoma. She is a member of the Tom Palmer Band and the Beaver Clan. Catherine’s Indian name is “Old Holy Beaver Woman,” which was given to her in a traditional Blackfeet name-giving ceremony by elder Bruce Wolf Child of the Blood reserve in Alberta. Bruce and Anne Marie Wolf Child adopted Catherine as their daughter. Catherine Black Horse is a self-taught artist who is known for her traditional dresses and paintings. When creating her dresses, Catherine uses materials dating from the 1800’s. She regularly uses fine wool, silk, ribbons, metal sequins, dentallium shells, real elk teeth and antique thimbles in her work. Catherine’s paintings reflect a contemporary abstract style. Catherine’s traditional dresses have won numerous awards at the most prestigious Indian art markets across the country. Catherine’s work was awarded First Place in 2007 and Second Place in 2011 at the Santa Fe Indian Market. Catherine won Best of Division at the 2011 Autry Museum Intertribal Market Place. She has also exhibited her work in the Santa Fe Indian Art Market Native American Clothing Contest where her dresses, modeled by her daughters Bree and Victoria, have received multiple awards. Catherine also placed First at the Eiteljorg Museum Indian Art Market in 2004. In 2012, Catherine was awarded Best of Classification at the Heard Museum Indian Art Market, and in 2014, Best of Division at the Heard Museum Indian Art Market. Most recently, Catherine was awarded Best of Division at the Santa Fe in Art Market in 2014, and second place at the 2015 Santa Fe Indian Art Market. Museums also recognize Catherine’s talent. The National Museum of the American Indian at the Smithsonian Institute in Washington D.C. selected Catherine as a featured artist in 2007. The Heard Museum also selected Catherine to collaborate on a Trail of Painted Ponies design for the 54th Annual Heard Indian Fair and Market in 2008 to benefit Native American scholarships. 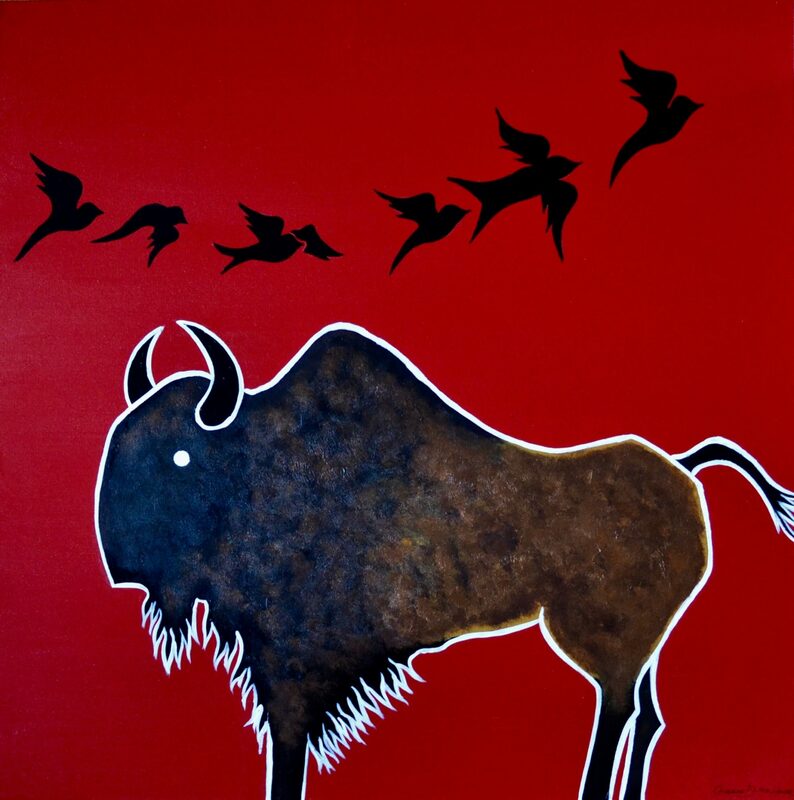 Catherine’s husband is the internationally acclaimed Blackfeet ledger artist and painter, Terrance Guardipee. Catherine and her two daughters, Bree and Victoria, enjoy dancing in Catherine’s traditional dresses at powwows across the country. Bree is currently a practicing attorney at Galanda Broadman, PLLC in Seattle, and Victoria will graduate from the University of Minnesota Medical School with her Medical Doctorate in May 2017 and begin her residency in Internal Medicine shortly thereafter. Catherine is alumni of Willamette University where she serves on the Willamette University Native American Advisory Board.